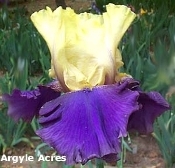 S canary yellow; F lavender blue purple. Yellow B. Popular.